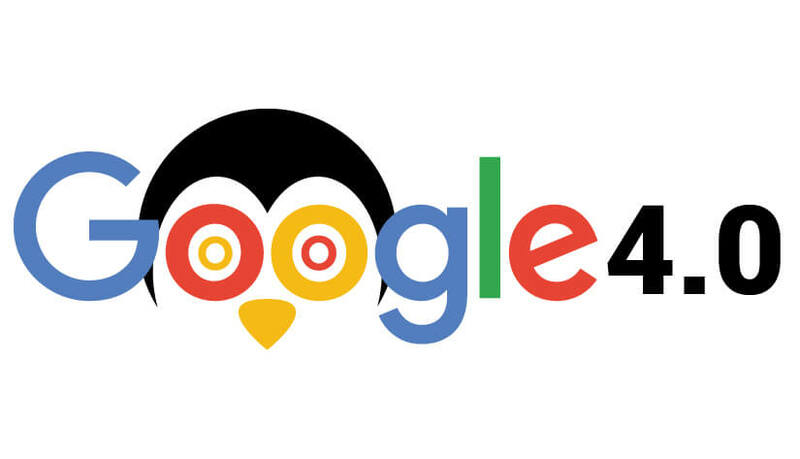 The last Penguin update in the Google’s core ranking algorithm, Penguin 4.0, is finally released and the new update processes in real time. Now, I want to discuss the new Penguin update and evaluate its effects on the SEO campaigns and how SEO community can continue improving their organic visibility without any fear of repercussions that their brave and bold efforts could attract due to punitive search engine algorithms. Release of Penguin 4 brings all the speculations about this update to rest. The biggest advantage of this update is its real time processing. There are many websites that have already been punished for low-quality SEO but they haven’t fully recovered even after disapproving the spammy back-links; sites built on shaky ground can’t be strengthened by removing the links alone. But the sites that are facing algorithmic issues could now move ahead as they have paid the price for punitive algorithm. Penguin 1.0 took aggregated approach but the next update took a granular approach by adding page-level and keyword-level penalties. Now the Penguin will possibly focus on individual links making the approach more granular than its predecessors. But the impact of this approach on sites is yet to be revealed. In my opinion, those going by the rules will see positive results. It is also to be seen how the update is adjusted with other 200 factors used for ranking websites. Now Google has integrated both Panda and Penguin in its core ranking system and I suspect that the new update can bring changes in other factors as a result. Another interesting point to note is that webmasters won’t receive any updates from Penguin will now work in real time. Updates will be made as Google crawls hence no announced will be made regarding the tweaks made. In my opinion, it is a good thing as it allows SEOs to keep doing their good job instead of fearing for the results of link-building strategies. Google has clarified that links are important. Googlers like John Mueller, Gary Illyes and Matt Cutts have simplified the importance of links for website ranking but at the same time, they warn SEOs of focusing only on links. Let’s understand importance of links from examples. A five page website with thousands of links but no social activity will see no development but a site with great content pieces and solid reputation signals through social and PR activity can do a good job even with only hundreds of quality links that have varied anchor texts spread across the web looks more natural than the site working with links only. Links are important but link-building shouldn’t be taken into isolation. Ideally it should be the result of great marketing. So, SEOs need working smartly and not technically to move in right direction. Analyzing Google’s recommendations is always useful as carefully worded press releases and webmaster guideline pages can help in understanding the recommendations completely. From the Link Schemes page: Create informative content and generate high-quality links for your site. Unique content gains popularity naturally as it attracts viewers and the viewers could link the content to their sites. A back-link is an editorial vote and it is given by choice. From the Webmaster Guidelines: Make your website unique in design so that it creates value for visitors and keeps them engaged. From the original Penguin announcement: It is same announcement made in the first point. What is common in all the points is quality. Whether it is design, content or link, Google sees quality in all the attributes of a website. This statement says everything about link-building but there is a problem that is Google looks for more. So, creating good content alone can’t help in building links. You have to make it visible for viewers. What you can do to increase visibility of your content is to establish relationships with others that might be interested in your content. They are bloggers and website owners. Your objective should be to use the relationship to build links that get your site noticed. Google’s definition of high quality is adding value to the site. 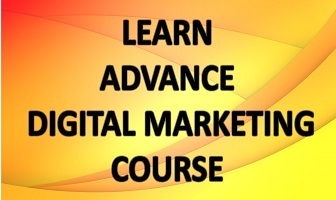 Create a site that is useful for targeted audiences and then let the audiences know about the site. Doing it other way could help generate links in large volume even when there is nothing valuable to link to. Mistake most SEOs make with link-building is they direct their campaigns back to front. Campaigns are started without adding value to the sites. But the problem can be solved by first adding something valuable to the sites and then encourage viewers to link your site to theirs. Try finding resource pages and directories relevant with your website using different advance query operators. Having a load of content on your site will make it easy for you to find relevant resource pages that could link your content. Search resources using keywords +resources, +links, +directory and other terms that indicate a relevant resource. Try finding useful resources from sites linked to your competitors but make sure that you have something valuable on your site before you approach those sites for linking. Also remember that a link that is useful for your competitor might not be so useful for your site. Guest posts can help increase visibility of your business and attract visitors of relevant sites. But quality should be kept in mind. For instance, if you find a piece in an article relevant to your site and you want to link it to your site then it should be done in a natural way that is through editorial vote. If I want to link your blogs to my site then I will first search blogs and see whether there are any guest authors. You can search blogs by searching “Keyword” + “guest post,” “keyword” + “write for us,” “keyword” + “contributor”. I prefer this way over tools as most sites behave authoritatively. Write quality content for your website and then contact the sites that exchange links. If they find your content valuable to their sites, they will certainly exchange links. Your content should add value to what they are offering to facilitate swapping of links. The Skyscraper Technique is good for this job but it isn’t always perfect. The process of broken link building is similar to #4 but here the objective is to find broken links on relevant sites that can add valuable links to your site. You need filling the gap with content to use broken links. The process is to help sites with broken links and it can give great results. Locate potential sites and crawl the sites with Screaming Frog or Xenu Link Sleuth to find broken links. There is much work to do in reviving broken links. Local businesses can help tap local markets or specific physical locations. You can find social groups like clubs relevant with your business. Offer them sponsorship to get a link on their sites. Find genuine reasons for establishing relationship with those local businesses that can give more exposure to your business. This way, you can generate quality local links. Use press and publications of the real world to get exposure for your website. It will help generate quality back-links for your website and in the long run, it will build brand and trust for your site. It isn’t end of the list as I don’t see link-building as a technical process but as a strategy tailored to suit individual needs of businesses. There are many instances that show that tactics that worked well for one business failed completely when used by others. Linking is all about creating value for your as well as for others. The process is to determine what is right for you and adding links to your site to make the linked pages informative for the visitors. But to achieve this objective, you have to make sure that your site is the best at whatever it does so that the linking site is benefitted by your site. SEOs should rely on their findings. Linking sites to spammy directory listing is good for nothing. They could be good for SEO as tons of links can be generated by the process but this backward approach generates no real value for the linked sites. And all the efforts and time spent on building links go in vain. There are many articles on how search engines work and the approach of low-end SEO agencies whose practices are in opposite to Google guidelines. It is true that Google displays ads but these ads give access to information and it is a good thing. Sadly, there are webmasters that demand cheap SEO and this demand creates services that are cheap. But thanks to Penguin 4.0 that puts an end to such low-value and cheap practices. I firmly believe that Penguin 4.0 will keep a tab over the traditional link-building process that is back to front. The new update might need some fine-tuning in future but as of now, it has link-building a process to improve sites first before hunting for relevant sites and starting link exchanges.